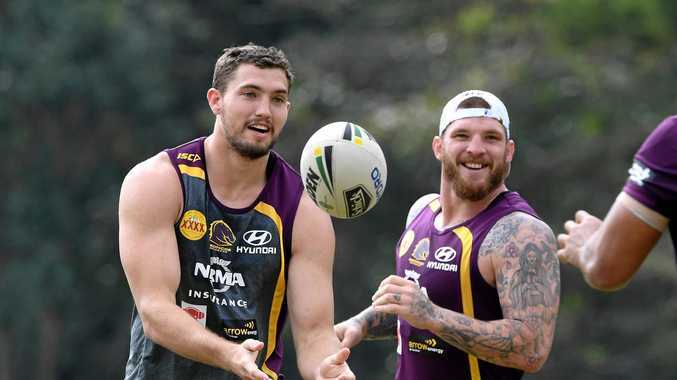 BRISBANE Broncos forward Matt Gillett admits he is being kept honest by ex-Queensland winger Corey Oates's bold gamble to play as a back-rower. Oates made a promising debut in the forwards in the Broncos' comfortable NRL trial win over the Gold Coast Titans in Toowoomba last weekend, crossing for a first-half try. The 23-year-old raised eyebrows when he sacrificed his backline starting spot in a bid to become a bench back-row weapon for the Broncos. 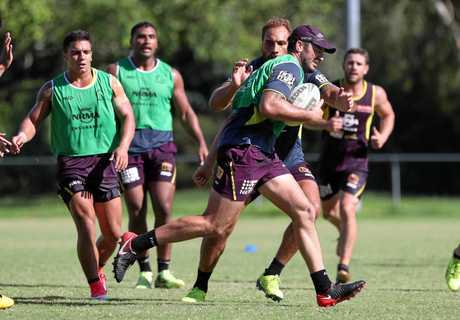 But Gillett said Oates had ensured no one was taking back-row spots for granted ahead of his first hit-out of the year in Saturday's trial against PNG Hunters in Port Moresby. "It's good competition amid the playing group that you always want,” the Kangaroos forward said. "You don't want to think you are set and you've got your spot every year. Broncos assistant Kevin Walters admitted after the Titans trial that the biggest test for Oates would be Saturday's clash against the tough Hunters pack, saying the ex-winger's defence needed work. He also faces stiff competition for a bench berth from Jaydn Su'A and Dave Fifita. The young duo were destructive against the Gold Coast, earning special praise from Walters. But Gillett was confident Oates could become an asset in the forwards. "He has made it pretty clear he wants to be a back-rower and everyone will give him a chance to play there,” he said. "I think Oatesy can turn into a great back-rower.